God released grace upon Anna to fast and pray unto the revelation of Jesus to the earth the first time. God is releasing a similar grace upon a whole generation of women who will operate in a similar anointing as Anna's unto the revelation of Jesus to the earth in His second coming. 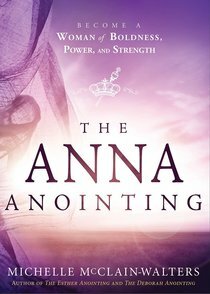 About "The Anna Anointing: Become a Woman of Boldness, Power and Strength"